...but not by themselves. Recent advances render vehicles intelligent enough to navigate safely in a world of manually driven vehicles; but intelligent vehicles may lead to dump traffic flow if not managed appropriately. 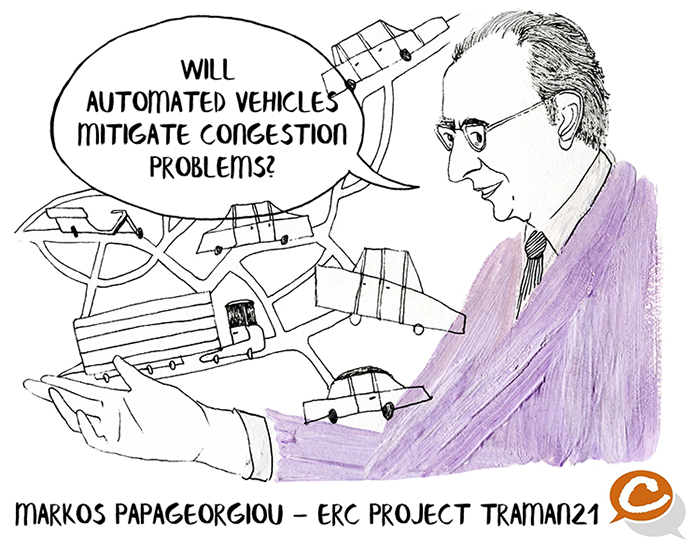 In his ERC project TRAMAN21, Prof. Markos Papageorgiou and his team have developed and tested various traffic management concepts, algorithms and actions that enable the future increasing populations of automated vehicle to behave in a way that maximizes the emerging traffic flow efficiency, and hence minimises highway congestion.